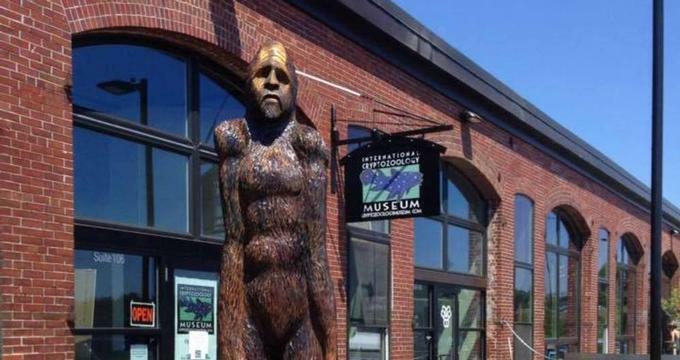 The International Cryptozoology Museum is located at Thompson's Point in Portland Maine and is the only one of its kind in the world. Understood as 'the study of hidden or unknown animals,' Cryptozoology explores larger biological species that have yet to be verified by science, such as yetis (Big Foot), lake monsters (the Loch Ness Monster) and sea serpents. Such animals are known as cryptids as it is believed that there are hundreds around the world yet to be discovered, and the International Cryptozoology Museum explores this concept. The museum also delves into the study of animals that have recently been identified such as the coelacanth, giant panda, okapi, mountain gorilla, and megamouth shark. The mission of The International Cryptozoology Museum is to educate and inform people about the study of cryptozoology and share the information gathered through the survey by way of interactive and informative exhibits, displays, presentations, and programs. The museum is home to a vast collection of samples, specimens, replicas, and artifacts gathered together over 50 years by Loren Colemanand displayed in fascinating 'cabinets-of-curiosities. Directed by Coleman, whose very first item obtained for the museum was the Hillary Yeti Expedition flag, the museum showcases cryptozoology in a fun and educational way, as a “gateway science” for those with an interest in the sciences and nature and encourages curiosity, questioning, probing and exploring all these spheres. 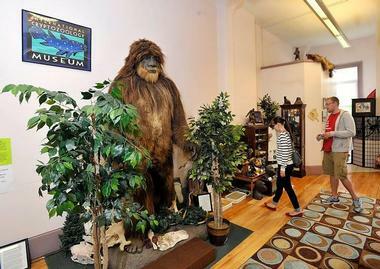 The International Cryptozoology Museum presents a range of interesting exhibits and displays featuring over 10, 000 items, including cryptids like the 300-pound, eight-foot tall "Crookston Bigfoot," and 'living' fossils, such as a 5.5-foot coelacanth and P. T. Barnum's Feejee Mermaid. The Museum also has a collection of rare and unique pieces of extraordinary evidence, such as 'actual' hair samples and a footprint cast of Big Foot. Other exhibits include a Sasquatch baby “reborn” doll named Esau, information on the Montauk Monster, the Dover Demon, the Jersey Devil, and the Napes/Skunk Apes. The International Cryptozoology Museum also features a collection of cryptozoology-inspired artworks produced by local and national artists, such as Carolina artists, Andy Finkle, Alec Cloud McPherson, and Cliff Barackman.